Chukwudumeje Onwuamadike, popularly known as Evans has been in the news for quite some time now because of his shocking kidnapping tales. Recently released photos show the house where the billionaire kidnapper kept his victims. 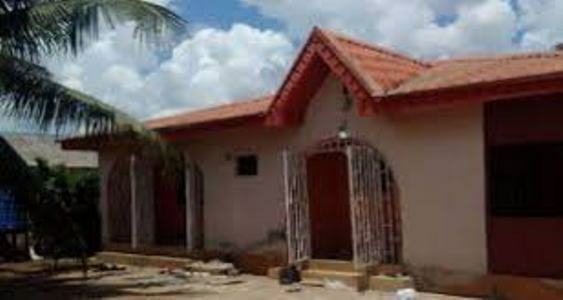 Located at No 21, Prophet Asaye Close, Igando, Lagos, the bungalow which has an inscription on the main gate that reads ''Jesus is Alive'', sits between two similar-looking houses facing the entrance to the street . This was where some members of the Evans' gang watched over their victims and made sure to keep them hidden from unsuspecting neighbours. It is the same house Donatus Dunu escaped from the night Evans and his gang members had planned to murder him. Located on the same street is a Foursquare Gospel Church and Celestial Church of Christ which is a few meters from the camp of the kidnappers. “This is one of my houses; I live in the other house I have around this place. My tenants informed me on the day operatives of the State Anti-Robbery Squad (SARS) came to this area,” he said. Findings revealed that the owner of the fortress used by the dangerous group died three years ago. 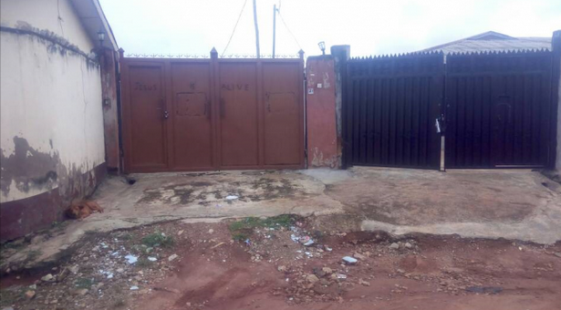 One of the neighbours of the deceased woman told TheCable that the tenant who rented the place after the demise of the landlady sublet it to Evans’ team. “That was how these criminals brought trouble into an otherwise peaceful community. Only God knows the number of people that they had tortured in the house,” a slim young man who simply identified himself as pastor said. Funsho Akomolafe, the owner of a provision store located at the entrance of Asaye street, also spoke to TheCable about the activities of two members of the gang and how a captive: Donatus Dunu, a pharmacist and owner of Maydon Pharmaceutical Company, Ilupeju, Lagos, helped the police to end the manhunt for Evans. 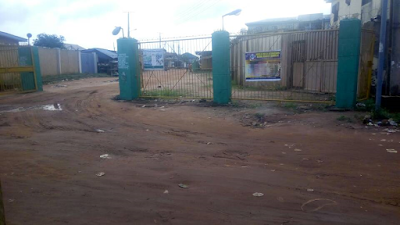 “We know only two occupants of that compound, and you won’t believe how they were friendly with people in this community,” Akomolafe opened up as he signalled a boy around to help him attend to one customer. “I noticed that they had interest in politics. On a number of occasions, they have engaged me about the situation of the country. ‘People have been complaining about hardship under this government’, ‘Light is bad in this our area’. ‘This our area is very peaceful.’ Issues like these were what we discussed. “One of them has a bald head. He was always on short knickers and Tshirt. He buys bags of sachet water from me, but there is a shop there where he buys fish. The owner of the shop said the least amount of dry fish he has bought from her is N5000. “He greets me whenever he passes. Even if it’s 10 times that he walks past my shop, he would greet me. I never knew I was relating with a crook. Sometimes he would even tell me that he was going to get things on the next street. You won’t ever believe he could do such a thing. He jokes a lot. He would show me the gallon of petrol he bought from a filling station. Akomolafe also spoke of how he had the cause to visit the stronghold of Evans some three months back. “The water in this area is very bad, but there are places where one can get good water. Sometime in March, the owner of one of the buildings beside their camp asked me to help her get someone that could dig a borehole. I was able to help her get a professional and they negotiated. After the negotiation, the person handling the project said he would need to inspect the house where the gang was operating from before he could dig the borehole.